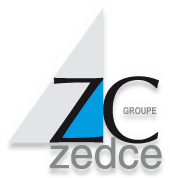 Mr. Zwallen and Mr. Chretin joined forces, forming the company ZC (ZedCe). Over a 22-year period, Zedce, located in the Arve valley, the home of the turning industry, produced some 500 turning machines. In 1968, the company stopped selling its machines and turned towards the production manufacturing industry. At a time when product functions demanded ever-higher standards of precision, Zedce specialised and offered a range of services, covering turned, forged and sinteredblanks. Driven by the growth of activities related to turbos and injection, Zedce established itself as a genuine partner of car manufacturers and their equipment suppliers. At the same time, Zedce took charge of the procurement of the blanks. As the company grew strongly, it built a high-performance production plant in 1998. In an effort to broaden its range of services and deliver increasingly complete supplies, Zedce developed its machining (2004) and assembly (2005) activities.